Get 20% off your next order at Neubria with this exclusive promo discount code. Neubria proudly present this voucher code to all TroopScout users: serving members, ex-forces, and family. Click ‘Get Code’ to get the voucher code and open the Neubria website. Once you’ve selected the items you want, click ‘Add to Basket’. When you’re ready to purchase your items, click on ‘Your Basket’ in the top right corner, and then click ‘Checkout’. In the box labelled ‘Discount’ on the right hand side, type in the TroopScout voucher code. Click ‘Apply’. Once the discount has been applied, enter your email address and delivery details. Click ‘Continue’. Select a shipping method from the options. Click ‘Continue to Payment Method’. Enter payment details. Click ‘Complete Order’ to finish. Neubria is an online store specialising in everything to do with the health of our brains. Did you know that with a little help it’s possible to improve your mood, performance, memory and motivation? 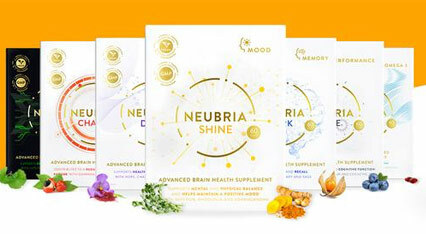 Neubria recognise that brain health is incredibly important. The most important organ in our bodies is the brain, and yet is often overlooked despite the fact that we’re being increasingly exposed to stress and depression, not to mention mental health problems that are on the rise too. That’s why Neubria have created a range of supplements designed to boost our brain health. They’re passionate about promoting brain awareness, improving the overall quality of life for many people and playing a part in preventing mental health issues. Taking a holistic approach, Neubria offer many supplements packed with the right vitamins, minerals and nutrients. Search for products in categories like Performance, Mood, Energy, Sleep or even Gaming to find what you’re looking for. For more information and advice on brains and more, take a look through their helpful blog that includes many articles that talk about many health related topics. There’s anything from ‘tips on how to sleep better’ to ‘ways to ease anxiety’.